Don’t let the small size of Rocky Bluff fool you. This unique and charming neighborhood of tree-lined streets on Madison’s near west side, is a mix of pre- and post-World War II homes (many built in the 1950s) and high-density apartments. And It’s near a myriad of dining and shopping options as well as a multitude of workplaces. University Avenue forms the northern border of Rocky Bluff. The other boundaries are N. Franklin Avenue on the east, the south side Bluff Street and DuRose Terrace to the south, and Palomino Lane and the western boundary of Quarry Park on the west. It’s within easy access to the University of Wisconsin-Madison and the Capitol Square, as well as many government agencies and both Veteran’s and UW Hospitals. The average selling price for homes in Rocky Bluff covers a wide range —from $200,000 to $500,000, depending on the style and amenities. Although the area is relatively small, there are 2 large parks within its boundaries — Quarry Park (with its unique mountain bike trail) and Hoyt Park, which offers very popular park shelter as well as a basketball court, softball diamond, and open fields for playing soccer, football, Frisbee. In fact, the Rocky Bluff neighborhood is rich in greenspace, prompting some people to refer to the area as an “urban forest.” Oddly, it is fairly dense population-wise, but is still able to maintain a quiet residential feeling. Residents here can take advantage of Madison’s bike paths to exercise or commute to work. And Lake Mendota is just a short walk or drive away. This is a neighborhood which holds an appeal for a wide variety of people — young families with children, retirees and UW students, alike. To enhance and promote the neighborhood as a safe and enjoyable place to live. To share our diverse resources and ideas for the common interest of creating a better community. Serve as a liaison between our neighborhood, the city, and elected officials. Create opportunities for neighborhood residents get to know one another and work together on common interests. Students in Rocky Bluff attend Midvale and Lincoln Elementary Schools, Hamilton Middle School and West High School. For book lovers, the closest library is the Sequoya Branch on Midvale Blvd., just a hop, skip and jump away. Sounds appealing? According to one resident, it certainly is. 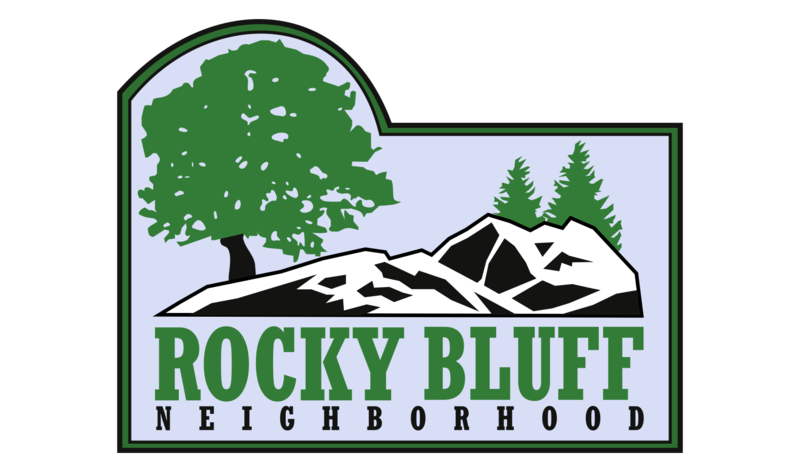 Erik Haroldson calls Rocky Bluff a “friendly, close-knit near west side neighborhood” where “residents dwell in an urban forest on quiet, mature tree-lined streets and [can] enjoy the trails in beautiful Quarry Park.” Pretty nice!